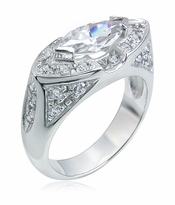 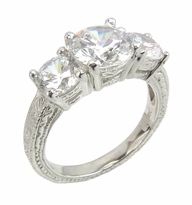 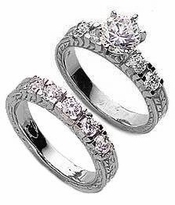 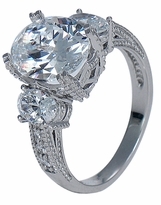 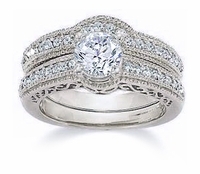 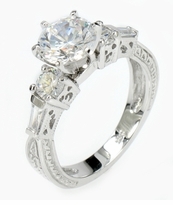 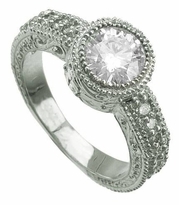 Our Antique Vintage Estate Inspired Cubic Zirconia Rings feature the world's finest Russian formula hand cut and hand polished Cubic Zirconia, that are the finest diamond simulants available. 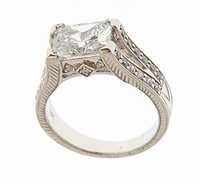 This collection of vintage estate style diamond look cubic zirconia rings is a blend of antique inspired designs from many periods, designers and eras. 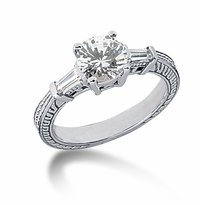 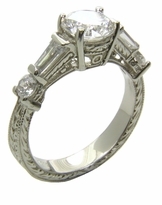 These vintage inspired designs all invoke the feeling of a time past, when quality and design were infused into the antique diamond rings and estate style diamond jewelry we wore. 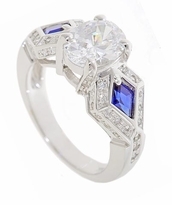 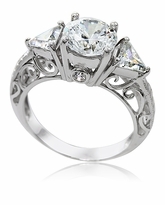 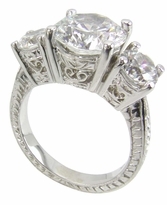 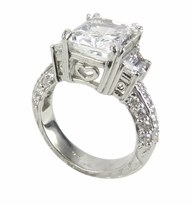 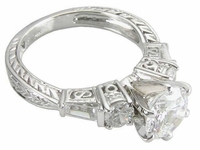 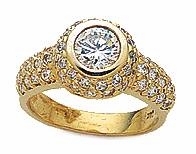 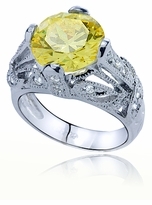 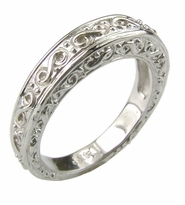 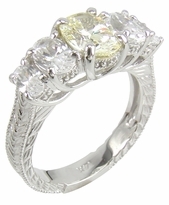 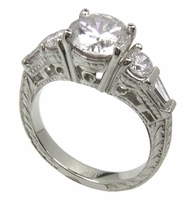 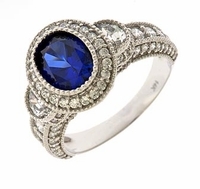 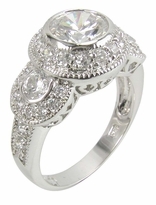 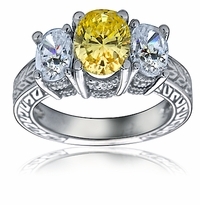 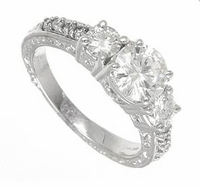 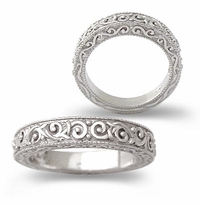 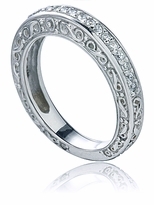 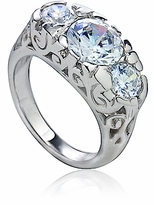 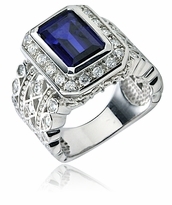 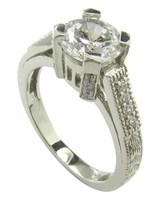 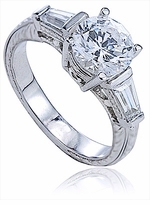 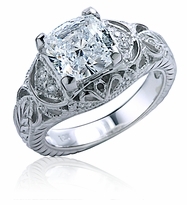 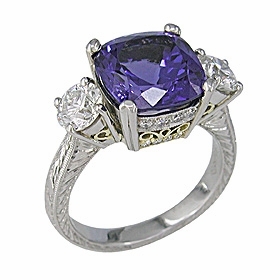 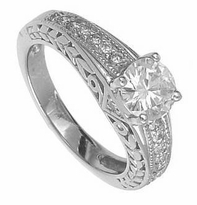 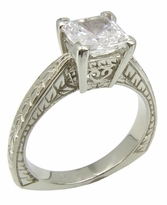 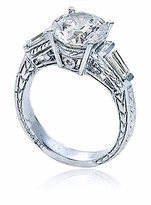 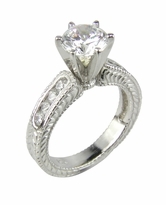 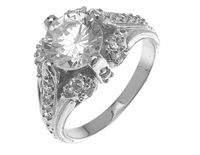 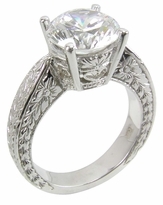 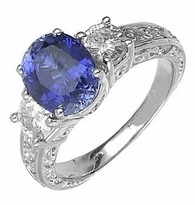 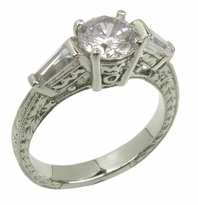 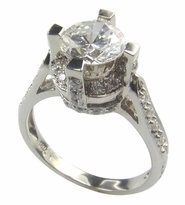 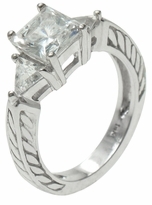 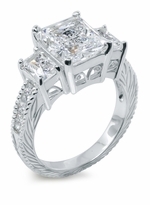 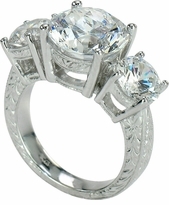 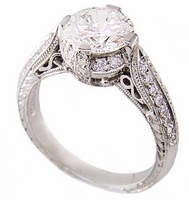 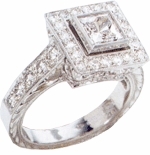 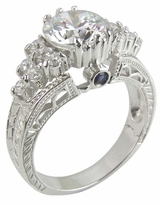 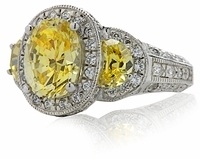 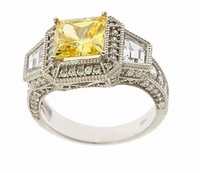 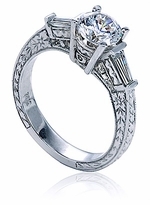 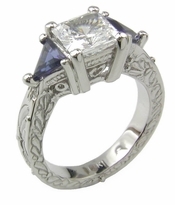 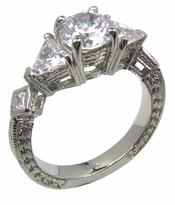 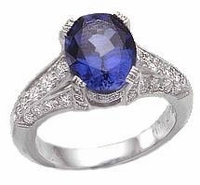 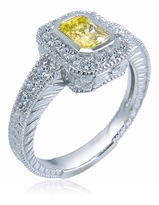 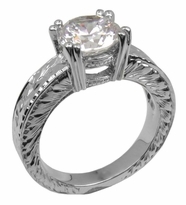 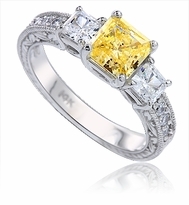 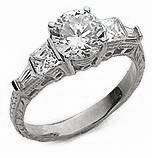 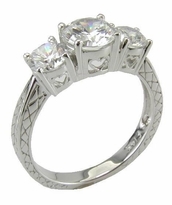 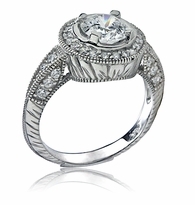 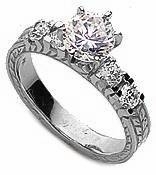 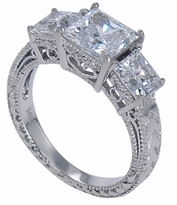 Vintage and estate jewelry detailing like engraving, scroll work, lattice work and decorative galleries that are all indicative of amazing hand crafted and artistic design work are present in many of these antique inspired cz rings. 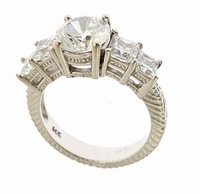 Many of the vintage antique estate style cz rings you see in this collection are also available in 14k gold and 18k gold, as well as luxurious PLATINUM via Special Order. 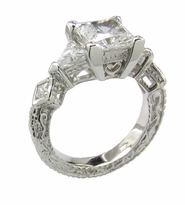 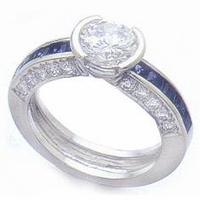 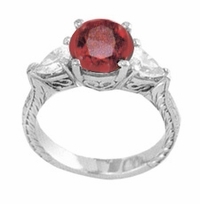 Since we manufacture all the jewelry in our collections, any antique estate style ring that you see here can also be made in any variation of size or shape of center stone as well as the custom vintage style ring of your dreams. 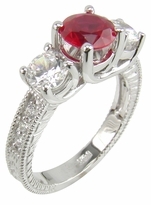 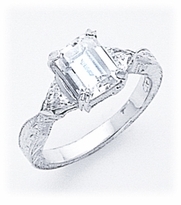 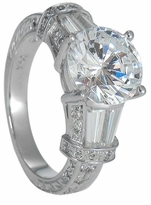 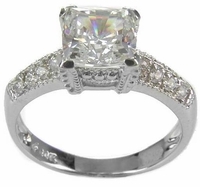 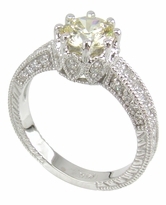 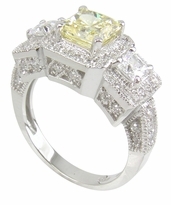 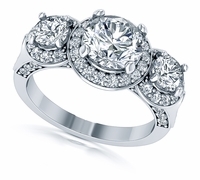 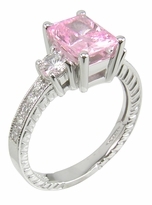 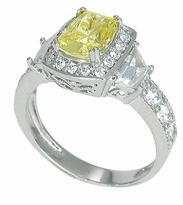 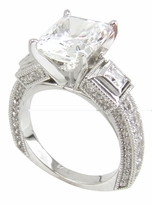 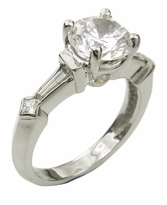 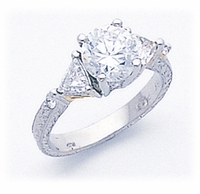 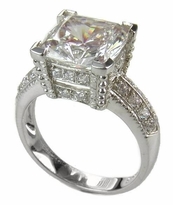 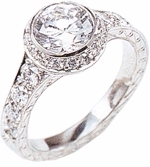 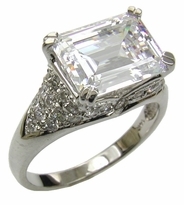 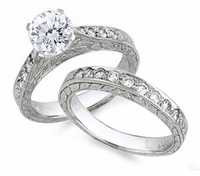 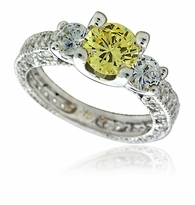 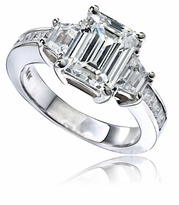 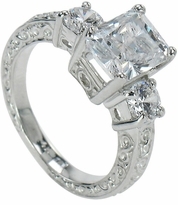 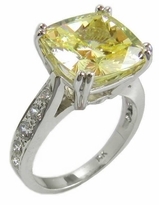 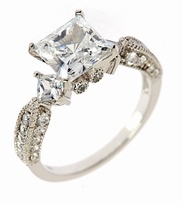 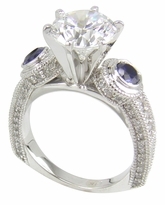 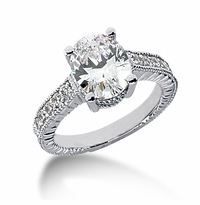 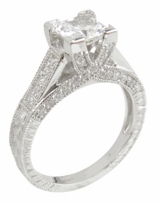 Simply call us to speak with our custom jewelry department for a quote or live chat with once of our cubic zirconia jewelry experts.